Looking for a mustard that’s worthy of more than just mici? 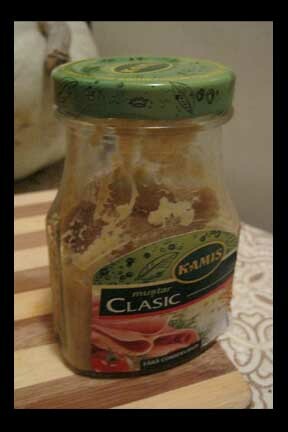 I recommend the “Kamis” brand of mustard. They’ve got different kinds: Classic, Dijion, French Style, Horseradish. And any bunica would love to use this jar to put their jam in. It’s cute!